While pastoring on the Keryx Weekend back in February at Carson City Correctional Facility, one of the inmates working on the weekend shared “Father’s Love Letter: An Intimate Message from God to You.” I and so many others have been moved as to how it makes an impact on our spirits. There are many ways that Scripture can be drawn together to be used to show God’s love for us. Scripture tells us that Holy Thursday, Good Friday and Resurrection Easter Sunday all show us how much God the Father loves each of us. May this reading bless you during Holy Week and for all times. You may not know me, but I know everything about you. Psalm 139:1 I know when you sit down and when you rise up. Psalm 139:2 I am familiar with all your ways. Psalm 139:3 Even the very hairs on your head are numbered. Matthew 10:29-31 For you were made in my image. Genesis 1:27 In me you live and move and have your being. Acts 17:28 For you are my offspring. Acts 17:28 I knew you even before you were conceived. are my child and I am your Father. 1 John 3:1 I offer you more than your earthly father ever could. My thoughts toward you are countless as the sand on the seashore. Psalm 139:17-18 And I rejoice over you with singing. Zephaniah 3:17 I will never stop doing good to you. Jeremiah 32:40 For you are my treasured possession. Exodus 19:5 I desire to establish you with all my heart and all my soul. Jeremiah 32:41 And I want to show you great and marvelous things. Jeremiah 33:3 If you seek me with all your heart, you will find me. Deuteronomy 4:29 Delight in me and I will give you the desires of your heart. Psalm 37:4 For it is I who gave you those desires. Philippians 2:13 I am able to do more for you than you could possibly imagine. Ephesians 3:20 For I am your greatest encourager. 2 Thessalonians 2:16-17 I am also the Father who comforts you in all your troubles. Pastor Gary will be leading an Adult Sunday School Bible Study starting Sunday April 15th and continuing for five weeks ending on May 13th. We will be looking at the book of Hebrew with special emphasis on how it affirms so much of the Old and New Testament. Class will run from 9:30 – 10:15 am. To date we have earned $2,653.25, close to half the money for the well. We will continue to have more fund-raisers for this project so be watching for them as we add them to the Upcoming Events. Something different is being planned for each month through September as well as a few continuing projects. At that time, we hope to have 100% of the total needed and be able to purchase the well by November 1st. It’s that time of year again when we gather together to clean-up the yard at the church. We will be meeting on April 19th at approx. 4:00 pm. The silver lining to this is, as usual, there will be a hot dog roast afterward. So, mark your calendars, get rested up and join us. You will want to bring your yard-working tools and your own hotdogs, etc. It has been agreed that our church needs a better means of communication between the Ad Council and the congregation. For that reason, we will begin printing the highlights of the meetings in the newsletters. • Gary has signed up some folks to be a part of the training program “Active Shooter Prevention”. This will be sometime in May. • Family Promise has been going well. We will continue to provide and serve a meal to the homeless 4 times per year. • 8 youth are signed up for camp. The registration fee for all 8 have been paid. Kathy was able to get $800 in scholarships and $200 in rebates to help with this. • There will be a Bible study starting April 15-May 20 on Hebrews. • It was agreed to purchase a gas grill for the church. It will be used for our May hot dog/hamburger luncheon and be available for other events as well. 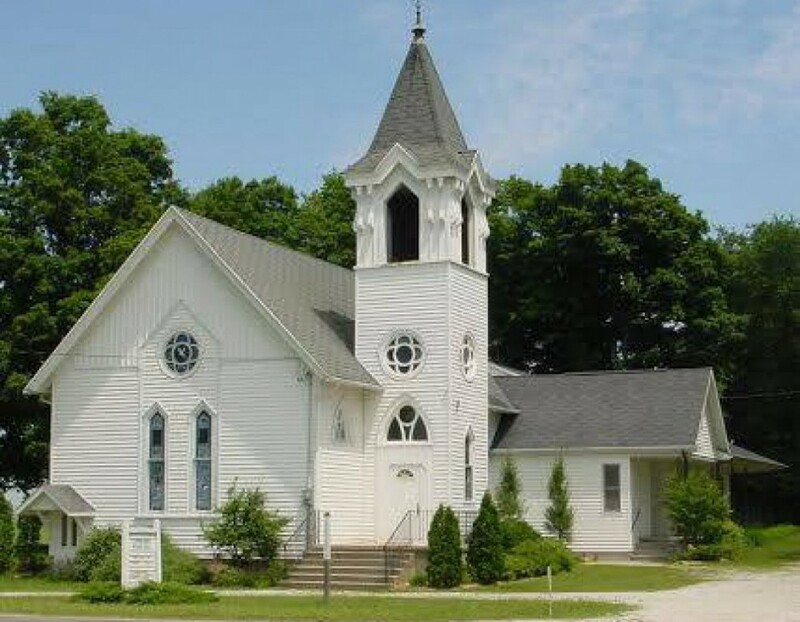 • The purchase of a 24 ft. extension ladder for church use was requested by the Trustees and was granted. It wakes up the day. Glorious morning Jesus is risen! Glorious morning, the world has a Savior! He is alive and His truth is revealed. Oh! Glorious morning Jesus is risen! No tomb could hold Him. Glorious morning the world has a Savior! He is alive and His truth is revealed. Glorious morning Jesus is risen! Glorious morning the world has a Savior! He is alive and His truth is revealed. Glorious morning!! Was It a Morning Like This. Did the earth rejoice to feel You again? Beneath their feet was there a tune? When my Lord looked out on Jerusalem. Let the words of our mouths, and the meditations of our hearts be acceptable in your sight, O Lord, our Rock and our Redeemer. In this place, among these people, God is worshipped, God is praised. We have seen the signs and wonders; the lost are found here, the dead are raised. We are living the Gospel story; lives are changed and mountains moved. Won't you come and work among us? You are welcomed, you are loved. Please remember our shut-ins with your cards, calls, and prayers. Check your newsletter or call the office for contact information for Jack, Olive and Marsha.